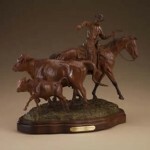 Even in this modern technological age, there is still a certain type of cowboy who wants to specialize in being one who only does the old-style ranch work on horseback. 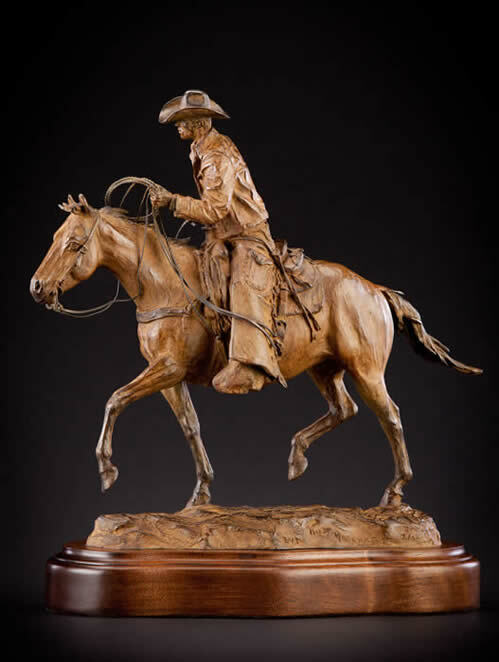 However, most ranches today expect their cowboys to do many other jobs like helping to repair windmills or watering holes, keeping pickup trucks running, building fences or driving to town to get supplies, as well as other chores necessary to keep the ranch operating smoothly. 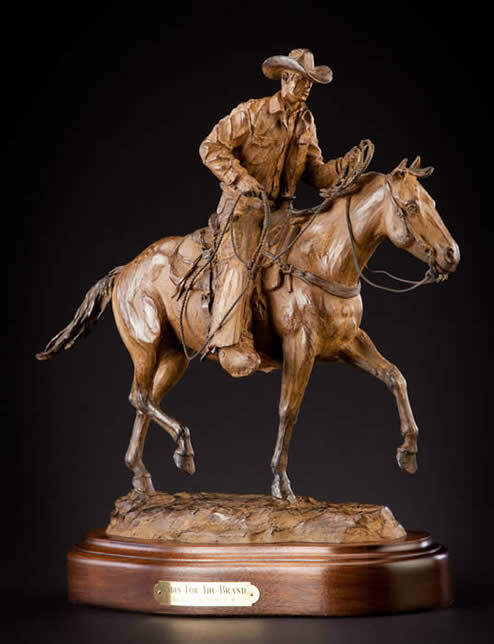 These old-style cowboys do what is expected of them, but their hearts aren’t in the modern ways, and dream for an old-fashioned outfit where most of the work is horseback. 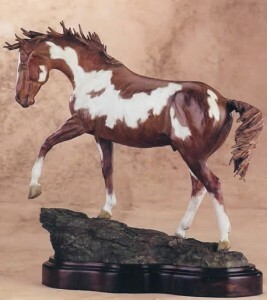 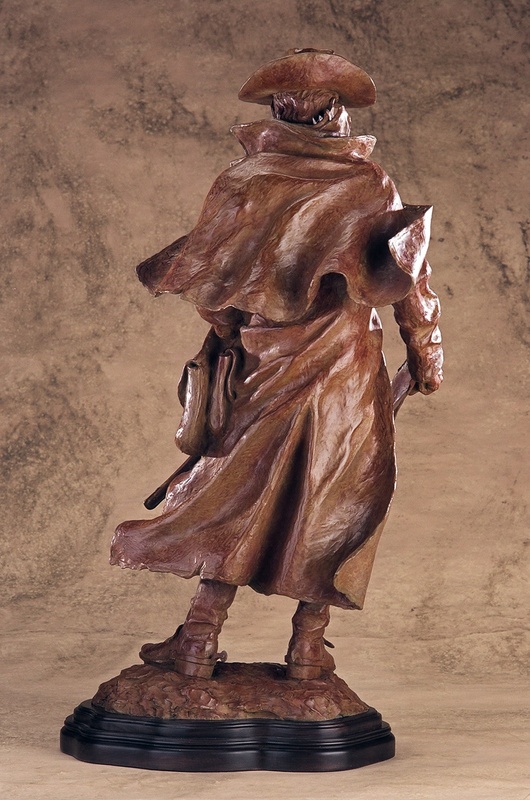 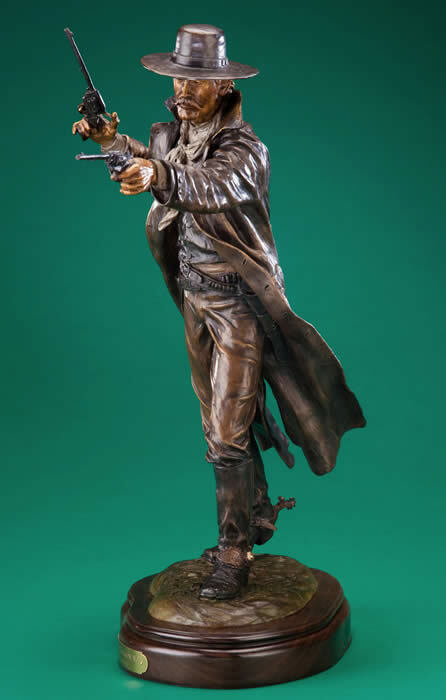 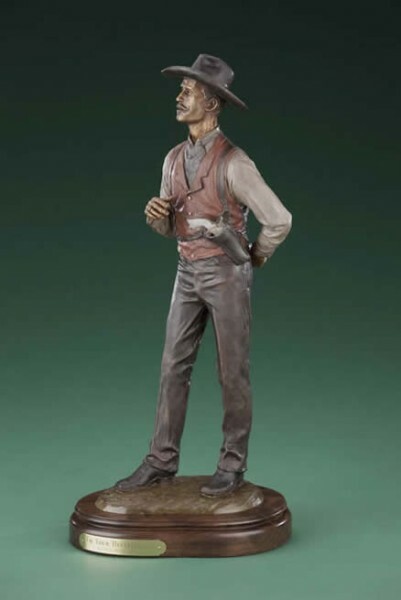 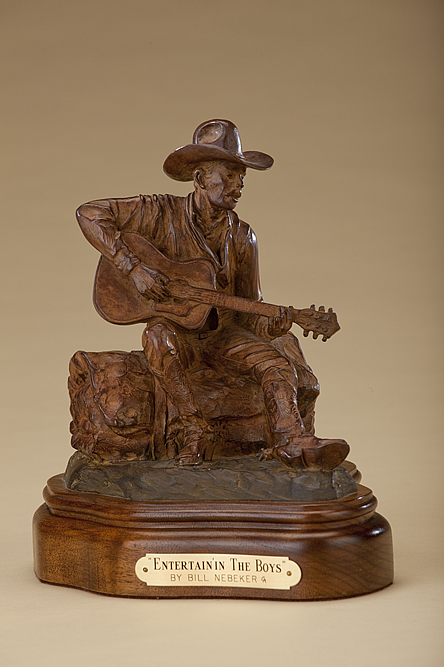 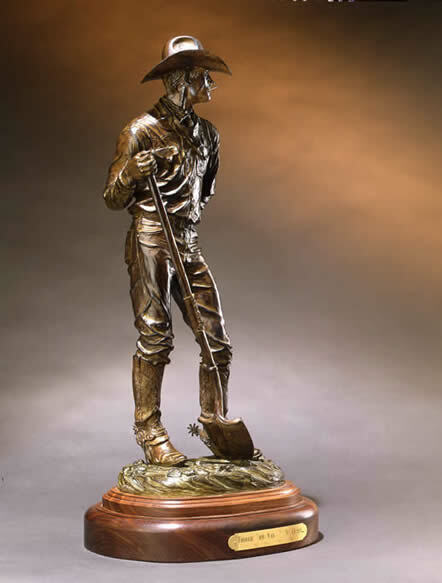 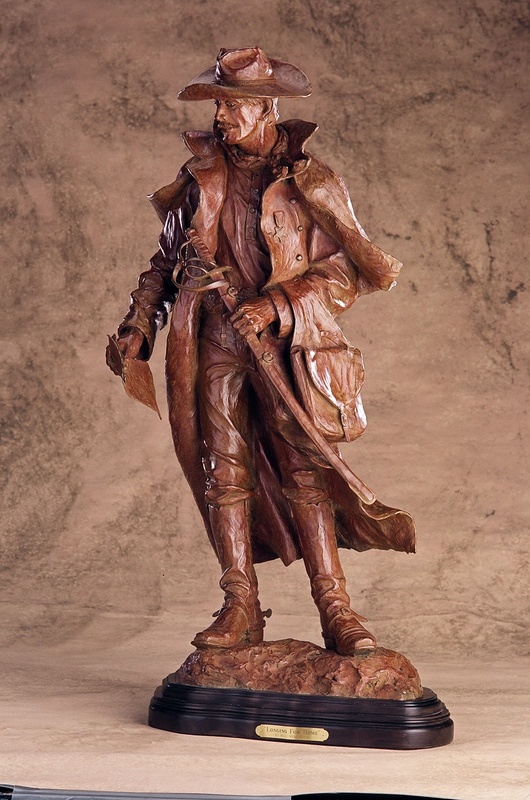 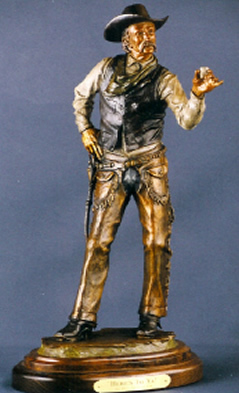 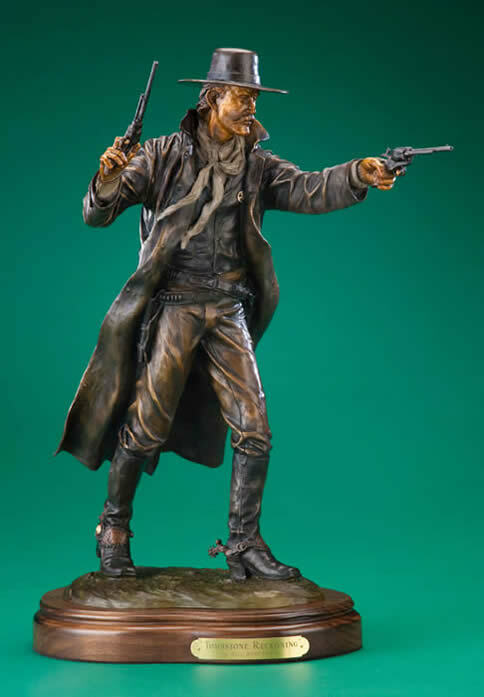 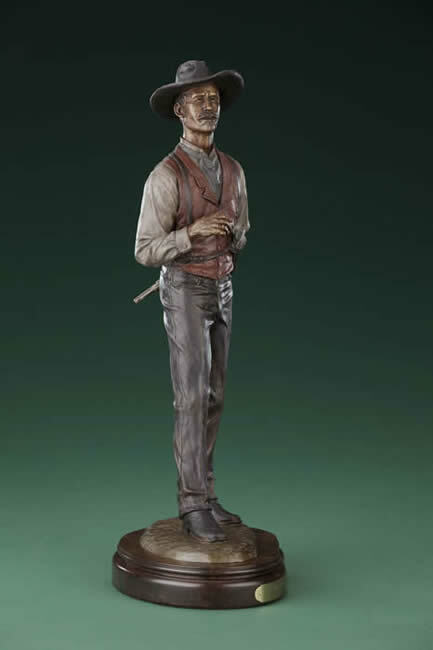 In this bronze, Bill has captured that attitude with a bit of humor with the cowboy holding a shovel and pondering his situation.